This month, passengers in concourses D and E at Miami International Airport can view the latest exhibition from one of the Caribbean’s great contemporary artists with Mémoires Encastrées (Memory Windows), an exhibit by Haitian-born, Miami-based artist Edouard Duval-Carrié. Mémoires Encastrées (Memory Windows), Edouard Duval-Carrié. “To have Mémoires Encastrées at MIA, given the deep cultural commentary of his pieces and its connection to our local community, is an honor and a privilege," said Miami-Dade Aviation Director Lester Sola. Renowned for his use of translucent and reflective mediums such as resin, glitter and glass, Duval-Carrié's art reflects on the culture and history of the Caribbean and his native Haiti. 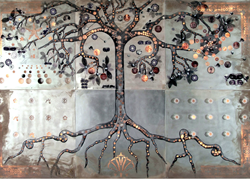 His work celebrates the act of remembrance, particularly of Caribbean people and places, but also highlights the instability of memory and the ways our understanding of the past can be altered by the present; it explores how people move through the world, locate and inscribe roots, and carve out space for themselves even among turmoil and violence. Located at MIA’s Central Gallery in Concourse E, Mémoires Encastrées features mixed media works and etchings on Plexiglas in artist’s frames. Duval-Carrié’s compositions initially appear colorful, fanciful and sweet but also illustrate the often-troubled histories and politics of the Caribbean, as well as the people - past and present - who have shaped its identity. His latest work is Memory Windows, a series in which each work is an assemblage of poignant historical images and varied objects encased in resin panels, illuminated by a light source emanating from behind – bringing the images literally to light. The exhibition encourages viewers to consider the ways in which our histories and memories have been impacted by transience, fluidity, and change. Edouard Duval-Carrié was born in Port-au-Prince in 1954. His family immigrated to Puerto Rico during the François Duvalier regime, while he was a child. Duval-Carrié studied at the Université de Montreal and McGill University in Canada before graduating with a Bachelor of Arts from Loyola College, Montréal in 1978. He later attended the École Nationale Supérieure des Beaux-Arts in Paris, France, from 1988 to 1989. Having resided in France for many years, he currently lives and works in Miami, Florida and is one of the most globally recognized contemporary visual artists from the Caribbean. Mémoires Encastrées continues the primary mission of the Aviation Department’s Fine Arts and Cultural Affairs Division to humanize and enrich the airport environment through the commission of contemporary artwork and the presentation of exhibitions in various media that communicate culture, environment and art resources of an international scope. 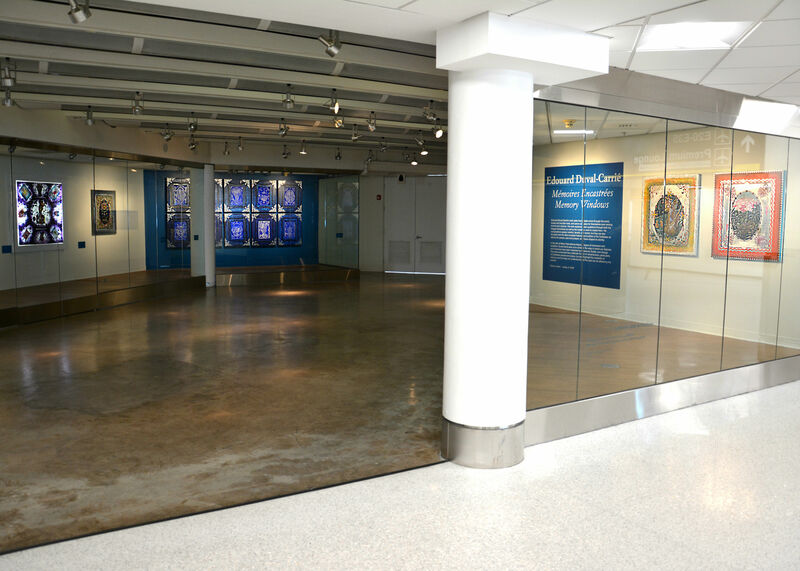 To learn more about other exhibits in the MIA Galleries, visit http://www.miami-airport.com/mia_galleries.asp.